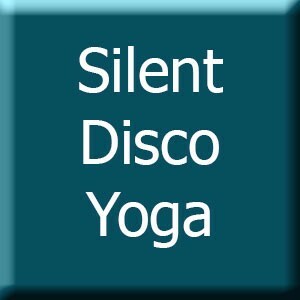 Silent Disco Yoga – Saturday 18th February 2017 5.30pm BOOK HERE! You can now book onto our next SILENT DISCO YOGA class running on Saturday 18th February 2017 at 5.30pm! The class will be held in the beautiful Carn Marth Hotel, which can be found along Beach Road leading to North Fistral. You can use the postcode TR7 1HN to find your way if you are driving and there is plenty of parking in the area to choose from. If you have so far missed out on one of these unique events, our SILENT DISCO YOGA classes are a musical yoga experience not to be missed! The all levels vinyasa flow class with be accentuated by wearing headphones and immersing yourself into a musical journey as you practice – don’t worry, the headphones stay on! The class is taught through a microphone that you will also hear via the headphones and postures are choreographed to the varying rhythms of the playlist. A very immersive yoga experience! Check out the video above to get an idea of what to expect! Beginners and children (supervised) are very welcome. Yoga mats are available at a £1 hire and can be pre-booked at the ticket purchase page. We recommend pre-booking your mat as they will be rented on a first come first served basis. Book your spots now by clicking on the button below. Email us at stretch@oceanflowyoga.co.uk if you have any questions! Cost – £10 per person.